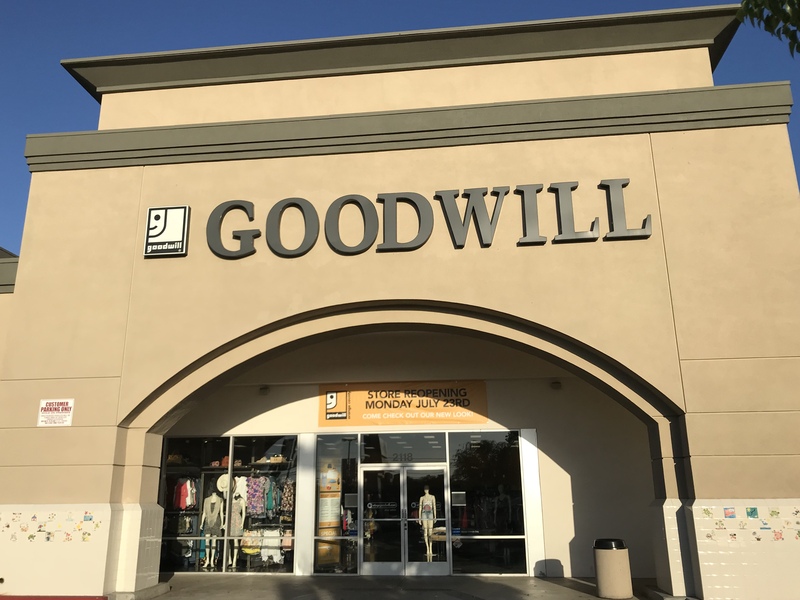 SANTA ANA, Calif. – July 23, 2018 -The doors to Goodwill of Orange County’s Santa Ana store on Bristol St. reopened today to unveil a remodeled and revamped shopping experience. The store’s remodel created a new, open floor plan and included a number of updates to its interior. Highlights of the remodel include a new cash wrap and fresh paint, installation of concrete flooring, updated in-store graphics, reclaimed wood wall accents and new fitting rooms. The store closed for construction on July 7. The remodel is part of Goodwill’s retail expansion plan for 2018, which includes remodels, relocations and new store openings. The Bristol St. store will continue to stock thousands of donated gently-used items, including apparel for all ages, shoes, home décor, electronics, furniture, appliances, jewelry and sporting goods. More than 93 cents from every dollar spent at the store, and all Goodwill of Orange County stores, is reinvested into Goodwill’s programs and services that help people facing barriers to employment, including individuals with disabilities and veterans, find and keep meaningful jobs. The store is located at 2118 S. Bristol St., Santa Ana, CA 92704. Hours of operation: Monday – Saturday, 9 a.m. to 9 p.m., Sunday, 11 a.m. to 7 p.m.